The chances are you don’t quite see yourself the way others do — something which can be exasperated and negatively impacted upon by common mental health issues such as depression and anxiety. However, even those of us who have generally good mental health can get stuck in a rut when it comes to how we view ourselves — after all, if we let it, our self-worth can be affected daily by the media, social media, and advertising campaigns, to name but a few. For example, the use of Instagram has been linked to feelings of inadequacy for those scrolling through post after post of people portraying an unrealistic and biased snapshot of their lives. So, how can you change your own view of yourself? Grab your pen and keep reading! It is much easier to focus on your weaknesses and berate yourself for, for example, a parenting decision with unexpected consequences, or cooking a meal for your family that doesn’t turn out very well. However, it is important to remember that there was no malice behind any of these events, and you always had good intentions. Mistakes happen and everyone has different strengths and weaknesses. It will take practice, but work on concentrating on your strengths instead of your weaknesses. Not great at baking? Oh well! Fantastic at being organised? What a skill to have! There’s enough negativity in the world without you giving yourself negative vibes as well. Imagine the scenario: Your best friend recently landed a promotion at work despite only having had a baby 6 months ago, while you haven’t returned to work yet after having a baby 2 years ago. If you are anything other than pleased for your friend, you are doing a mental comparison between their life and yours, and feeling that you’re not achieving as much. This is not a healthy way to think, and will not have a positive outcome for anyone involved. Your potential for love is unlimited so you can still continue to love others while you work on loving yourself more. Also, you’ll probably find you’ll be able to give more love when you can understand better why people love you. Everyone will have one or more personality traits they don’t love about themselves. For me, it is my impatience. However, it is a part of who I am and while I can try to work on it, I’ll probably always be a little bit impatient. This is where acceptance comes in — don’t waste time and effort on hating yourself. Work on the aspects of yourself you’re not as keen on if it is possible (and you want to), but don’t worry if you can’t ‘fix’ yourself — you don’t need to! You just need to learn to accept these traits and let go. Let yourself be happy! 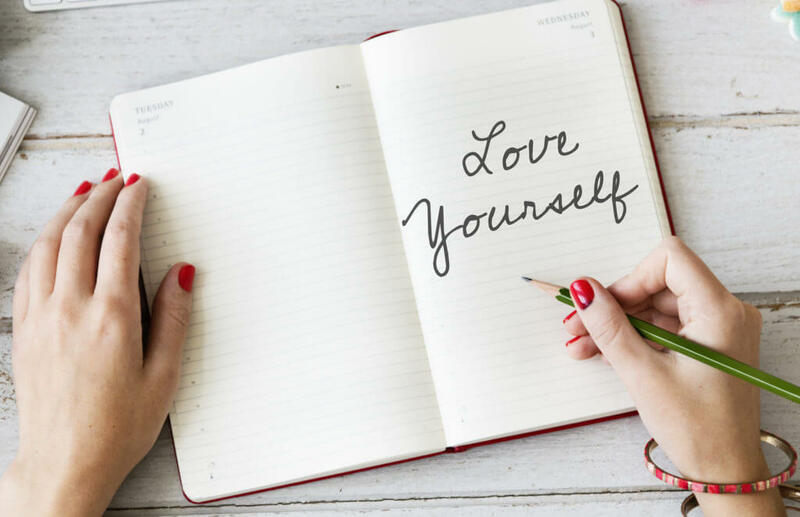 I must admit, it is quite a tough list to write, but if you find it hard, it means there is certainly room for improvement in how you see yourself. Get writing your list and see how it goes. 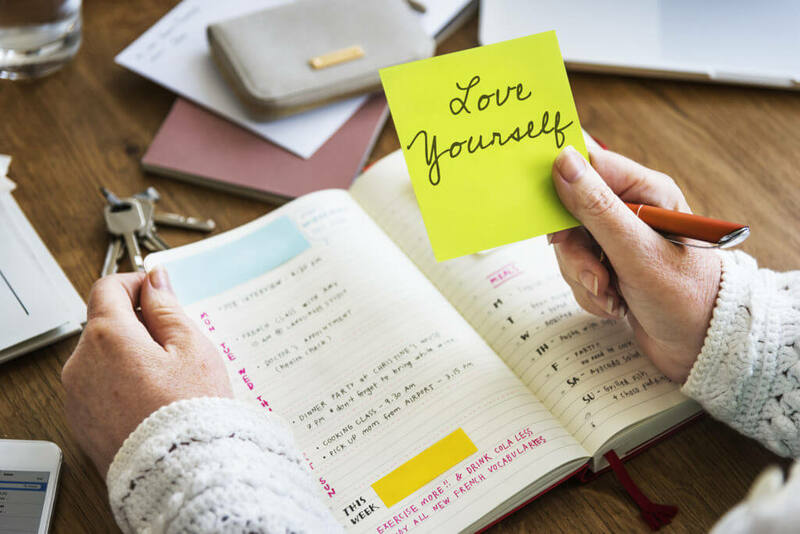 Once you have expanded on your points in your journal, make sure to read it frequently — perhaps even once per day for a while, until it starts to sink in that you are awesome! Have you given this a go? Let me know how you got on in the comments below. What are the qualities you love about yourself? Want to go on a journey of self-discovery? Check out this blog post today and get journaling!